I thought I was going to die the other day. Here I was, on the path to the lighthouse at Cape Point, feeling like I was about to throw up. My ears were aching and my heart was pounding and that was before I’d even reached the first set of stairs! How did I become so unfit? I mean, I’ve never been a gym bunny, but I walk a lot and here I was feeling like someone who was twice my age. And I SAW actual old people walking up this path, in sun dresses and flip flops. I am ashamed! What a strange intro for a post about National Parks Week! If you haven’t heard, SANPARKS is doing away with the entry fee to most of their parks from 12-16 September (with a few parks including Saturday, and some even adding Sunday into the mix). After I tweeted from Cape Point about 2 weekends ago, it sounded like you were interested in exploring the Cape of Good Hope too so, here’s what you need to know. For those who are reliant on public transport, you’ll be pleased to know that Metrorail has teamed up with Cape Point, so you can take a train and shuttle service during this week. Check out their website for more details. 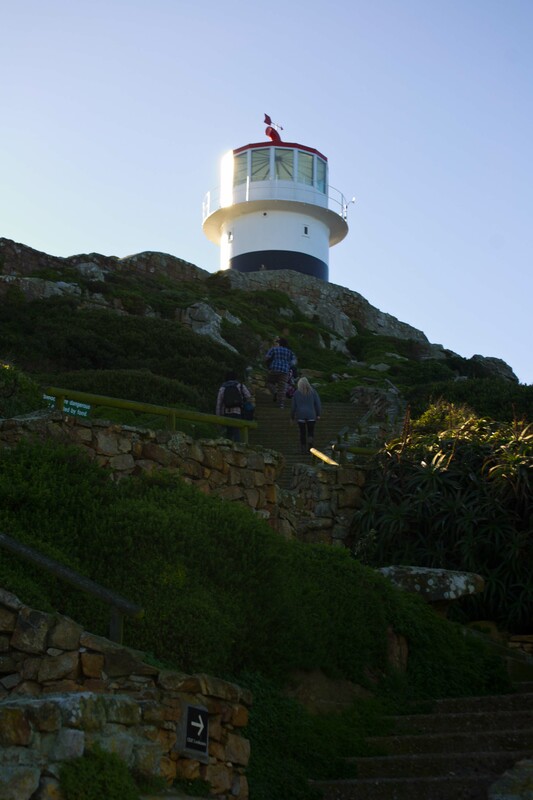 If you’re worried about facing bus loads of school children and church groups, have a look at this post we did a few months ago to find out where you can explore within Cape Point, that doesn’t require you queuing for days for the funicular. Of course, the funicular is essential for someone who is nowhere near as fit as she used to be, to get to the old lighthouse. The good news however is that if you take the funicular up to the top, you don’t have to climb the stairs to the “old lighthouse” that doesn’t get used anyway (since it is often too covered in mist for it to be any use to passing ships). The far more interesting option would be to take the lighthouse keepers walk behind the top funicular station, and walk down to the working lighthouse lower down. If you’re still concerned about facing hordes of people this week, why not invest in a My Green Card at the tourism office in Simonstown instead. For just R125 (which happens to be the price of a single, adult entry to Cape Point), you can register yourself for a clip card with 12 clips. You will need your South African ID document when you register and you will need to present both the card and the ID document when you want to enter Cape Point with it. The great news is that you can take up to 11 South Africans with you when you use your My Green Card as long as they present their ID documents as well. Kids under 16 don’t need to present their ID documents but they will count as one of the clips on the card. 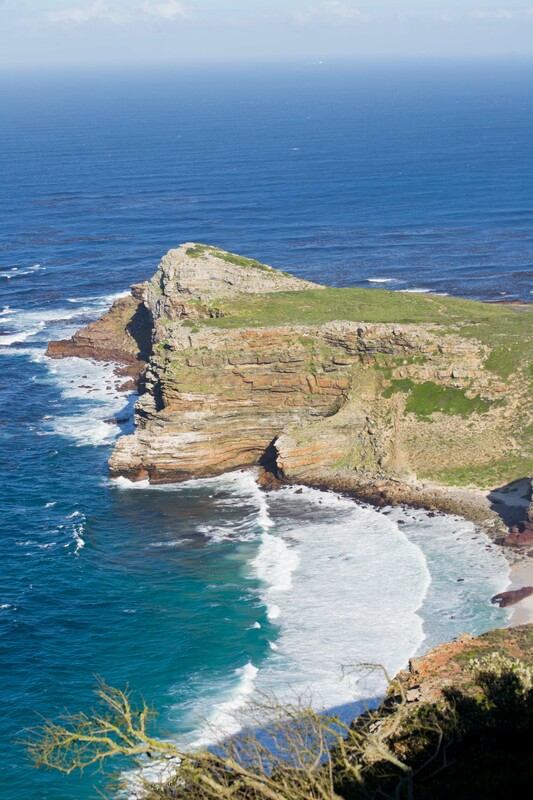 This means you can wait for National Parks week to have finished and visit Cape Point, when it isn’t as busy. What I did notice the last time I was there was that tour buses arrive at around 9am and that’s when things get really busy. Locals therefore should try and arrive before 8:30am so that they can get to the top before the crowds descend and leave the area near the restaurant before 10am. 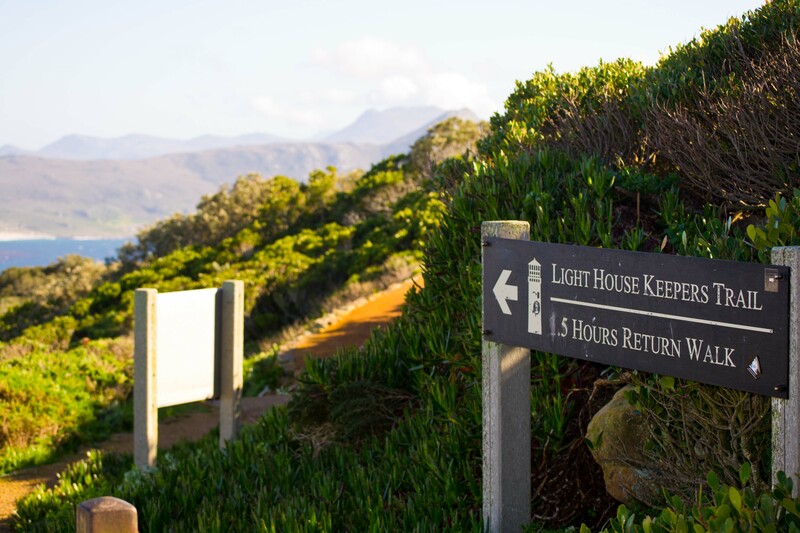 There is so much to do in Cape Point though that you don’t have to leave the park itself. You can simply go and find another (lesser known) section to discover. Where will you go exploring this week? Let me know in the comments field below.